This stall was set up by my father in 1983, when Chinatown Complex Food Centre was first built. Since then we have been following the traditional recipe and taste for the braised duck. I started helping them when I was 7 years old. I used to wash the dishes back then. Later as a teenager I learnt the skill of braising the duck. I completely took over the stall 4 years back, when my father passed away. My mother still guides and helps me run the stall. 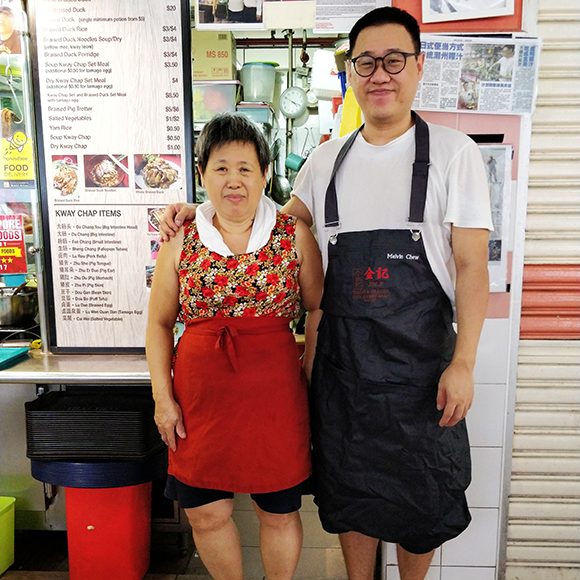 When I started promoting my Hawker Stall on social media, no other Hawker was doing that. I understand social media is the trend right now. Everyone is always looking at their phone, whether they are eating, traveling by MRT or even in the toilet. It has become a big part of our life. That is why I decided to promote my products on social media. We became hit online when I came up with the bento set. I wanted to break out of the ‘Uncle food’ image. Therefore, I decided to serve the bento sets.